Heather Baxter needs a passport to visit all of her children. Baxter, a senior scientist at Harris Nuclear Plant in New Hill, N.C., spends her day monitoring radioactive nuclides and ensuring the overall health and safety of the community and environment. At home, she and her husband, David, have two teenage boys (Troy, 17, and Connolly, 16), but for 10 months of the year they have a third. 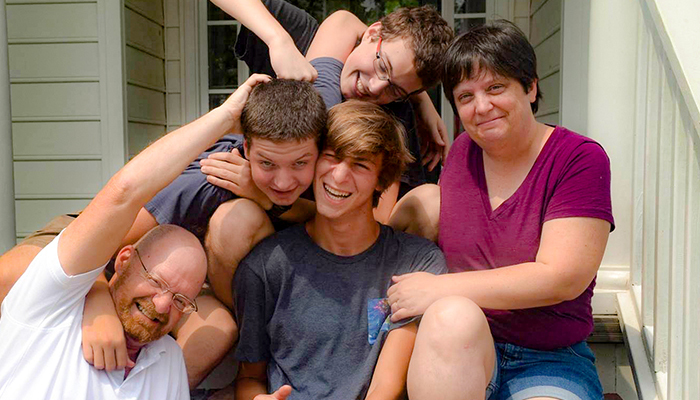 For seven years, the Baxters have opened their home and hearts to a foreign-exchange student. The Baxters began this tradition when their sons were eight and 10, seeing it as an opportunity for their children to learn more about the world, other cultures and to broaden their worldview from the comfort of their own home. They’ve hosted students from Italy, Sweden, Iceland, Germany, Denmark and Norway. And for this Mother’s Day, 17-year-old Emir from Iceland is their “third child.” Once a child comes to stay, Baxter said, “That is my child. We are a family.” Baxter said it’s been an overwhelmingly positive and enriching experience. The ever-changing family learns from each other’s differences and to live together as a family. The students have to adjust to habits, behaviors and ways of life that are commonplace to Americans but are, very literally, foreign to them. Fortunately, it doesn’t take long for them to assimilate and embrace life in the U.S. – and every one has developed a strong appreciation for Chick-fil-A, Bojangles and sweet tea. David Baxter said he sees these visits continuing: “I have all these European children who will always be my sons or daughters,” he said. “My retirement plan is travel across Europe going from house to house, saying, 'Here we are!’"
The Baxters plan on continuing the tradition of hosting students. In 2018, Pablo from Italy will be the Mother’s Day guest. But all eight of the students will surely also be there in Baxter’s heart. 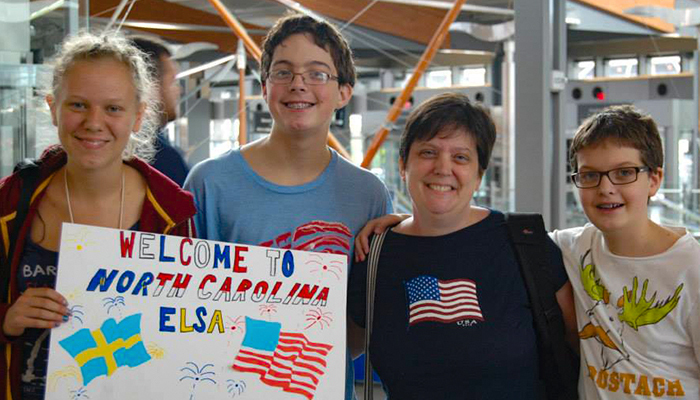 The Baxter’s work with exchange students is facilitated through ASSE, which started as American Scandinavian Student Exchange. It has since expanded to other countries.